And So the Book Tour Begins! We have returned from France, and the book tour now starts. 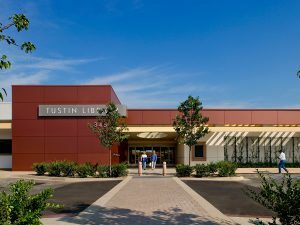 There are five bookstores presently scheduled, with a few more pending. 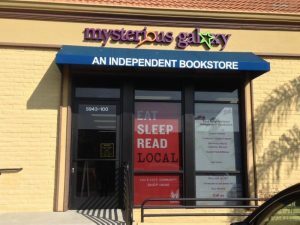 We are beginning with Southern California bookstores and will then gradually extend to other areas. I hope that some of you are in close enough proximity that you will be able to attend. 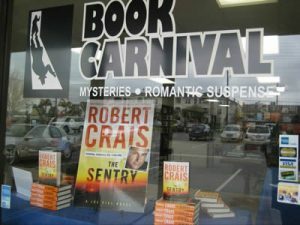 This is my first stop and I am being paired with mystery writer, Mike Befeler. I had a very pleasant conversation with Mike and he was very gracious in offering some advice, and providing me with the benefit of his experience at book signings. He will speak first about his new book, “Court Trouble,” and then it will be my turn to discuss “Forever Gentleman,” and the research I conducted in writing it. We will then open it up to the audience for questions. Following that, we will do book signings. My second stop will have a little different format. At this event, there will be approximately 20 authors present. Each will have a few minutes to speak about his/her book. Afterward, the authors will sign books for purchasers. 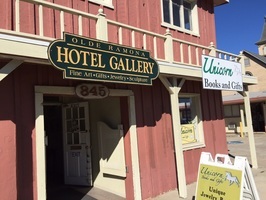 Ramona, known for its wine, art, history and horses, is a quaint little town in North San Diego county. It’s been many years since I’ve visited, but I am definitely looking forward to returning. 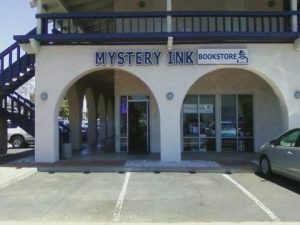 For this event, I’ll be paired with another mystery writer, Corey Lynn Flanagan. We also have several other venues pending, some which will involve a short speech about the book, along with a mini-concert of one or more classical piano pieces that are prominent in the book. 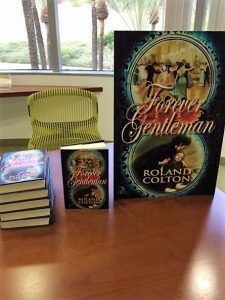 My historical fiction novel, Forever Gentleman, is available now on Amazon! Read more about it here. Please follow me on Twitter, Facebook, Google+, LinkedIn, and Pinterest. First Concert with Book Signing: A Great Success!! !